Vastex offers a variety of accessories to make your press more versatile. The Digit System enables quick and efficient athletic numbering. 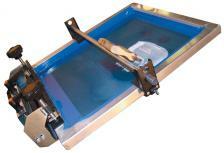 The Vacuum Pallet allows you to print lightweight flexible graphic stock. The Cap Attachment easily mounts to your press to provide a system for printing caps. The All-Over Kit enables full edge-to-edge prints on garments up to XL sizes. 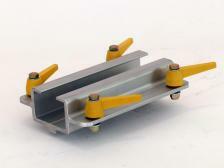 The Side-Clamp Fixtures permit further anchoring and support of your screen frame if desired. 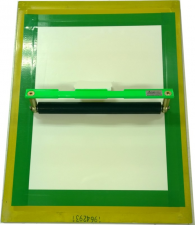 The Squeegee Rest provides an easy way to keep your squeegee in a convenient screen position. The Vastex Registration System enables a precise way to locate your multicolor images from screen-to-screen, and a quick method to line up those screens on press for extremely fast and accurate set up.